3.Proceed to Book a ticket of movie,cinema,shows. 4.On payment page select "Mobikwik Flat INR 100 Cashback". 6.BoooM!! 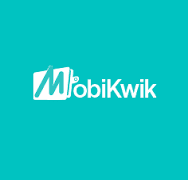 Rs.100 cashback will credited 24 hours in mobikwik wallet.